Type X/Ex px PURGE is the most advanced system. 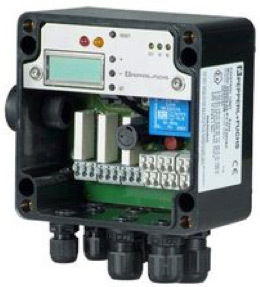 It has a 316 L stainless steel, Type 4X, IP66 housing that contains the controller, pneumatics, electrical I/O, and programming interface. 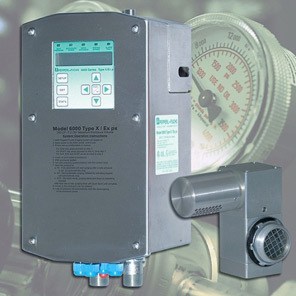 Screen displays flow, pressure and system status. 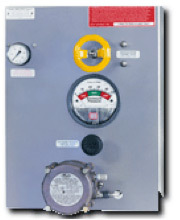 Pressure and flow back feedback is provided to control unit by the vent. 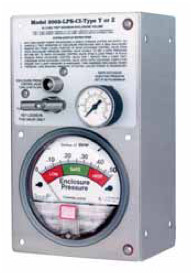 This component is a single solution for all purge and pressurization applications. Type Ex pz PURGE 5000Q series is Pepperl + Fuchs Bebco EPS product line. This series allows general purpose equipment to be mounted in standard enclosures and operated safely in a Zone 2, Zone 22 hazardous areas. The 3000 series is available for Type Y,Z, and Ex pz applications as one model number. Component kits are available for integration into the custom enclosure. The 1000 Series Type Y purge system is rated for Class I, Division 1 to Division 1 to Division 2 area applications or Class II, Division 1 to Division 2 applications.